You already know what you are into by looking at the picture, isn’t it? 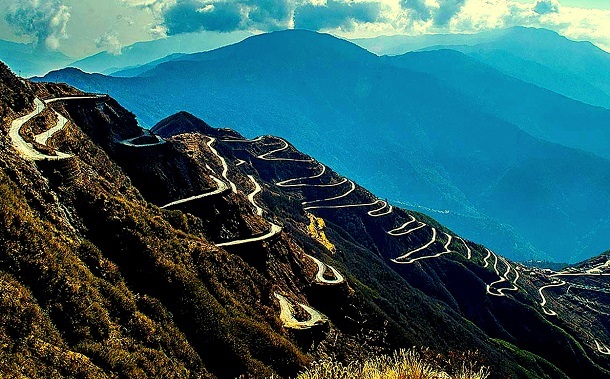 The extreme hairpin bends will surely get you dizzy, even if you don’t have mountain sickness. 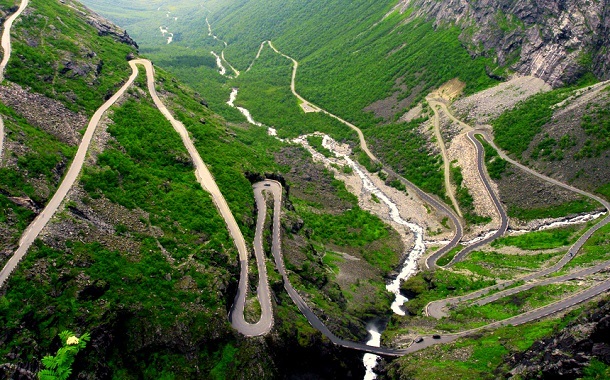 What makes it spooky is that the vertiginous road with 21 loops is said to have been haunted by a ghost. Infamous for 70 continuous hairpin bends, the Kolli Hill Road is not for the faint-hearted. Hence, Kolli Hill is also called as the 'Mountain of Death'. Located in Tamil Nadu, the spot is famous for Agaya Gangai waterfalls and a Shiva temple. 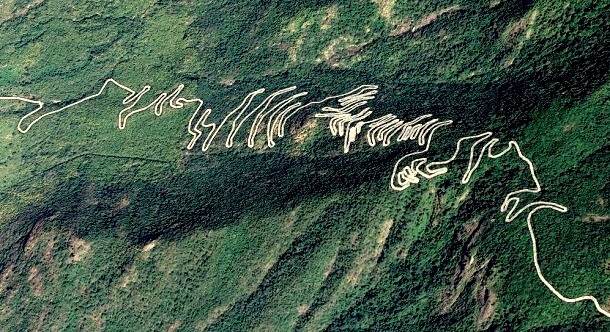 This is a three-level zigzag road that spins across the mountainous terrain exposing breathtaking views of the valley. Special precaution needs to be taken while you are travelling here as it touches an altitude of 11,200 feet. 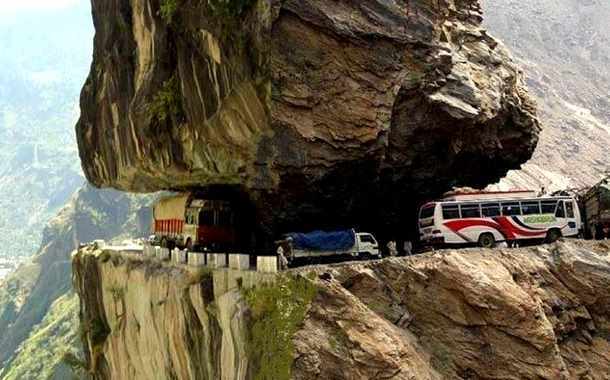 This is undoubtedly the scariest road in India ever! It has featured on History Channel’s ‘IRT Deadliest Roads’ series. 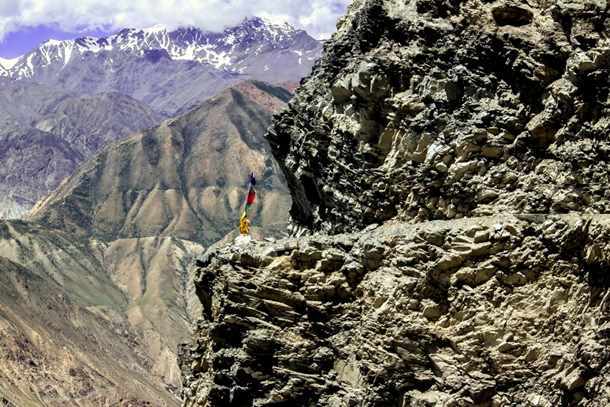 It is also known as the Hindustan-Tibet Road, which starts at Ambala and goes through Haryana and Himachal Pradesh. The road spans over 459kms. Situated on National Highway 1, this pass falls en route to Srinagar from Leh. The road is narrow and full of grime that gets mucky during rainy season. The road is located at a height of 11,575 feet and you will see a lot of diversity in the scenery as you traverse this high pass. 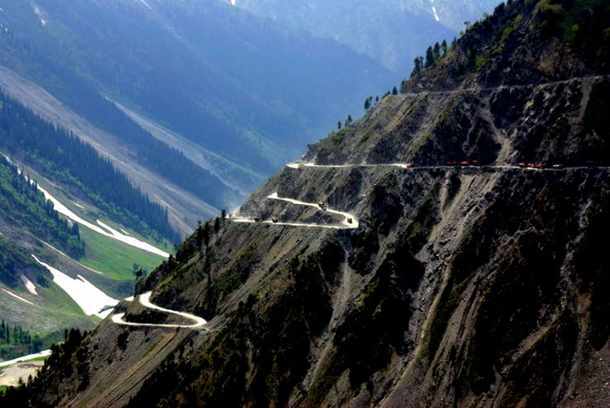 The cliff hanging drive and narrow roads on the Sangla Road will certainly give you goosebumps. One wrong move and you will fall down in the abyss. The roads are certainly closed during winters, but even when they are open, they are as close to death as they can be. 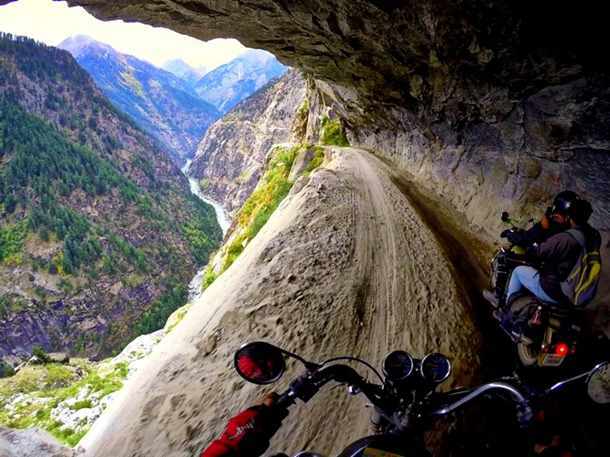 This road is definitely not for the faint-hearted. A terrifying mountainous trail is exposed on one side by an unfathomable gorge. If you fall down, you and your vehicle will be pulverised to pieces. 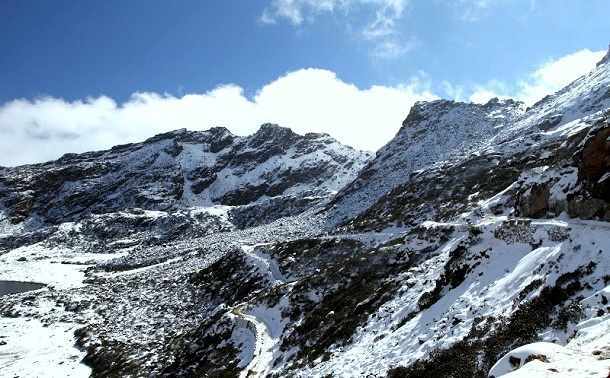 Located at 16,500 feet in the mountains of Arunachal Pradesh, this high mountain pass is one of the most deadliest roads in India. At such a height, you are sure to experience thinning of air and lack of oxygen. Add to that, the dreadful condition of the road, sharp hairpin turns and bottleneck roadways. This road is highly affected by blizzards as well. Rohtang in itself means ‘ground of corpses’, which suggests the danger associated along with it. 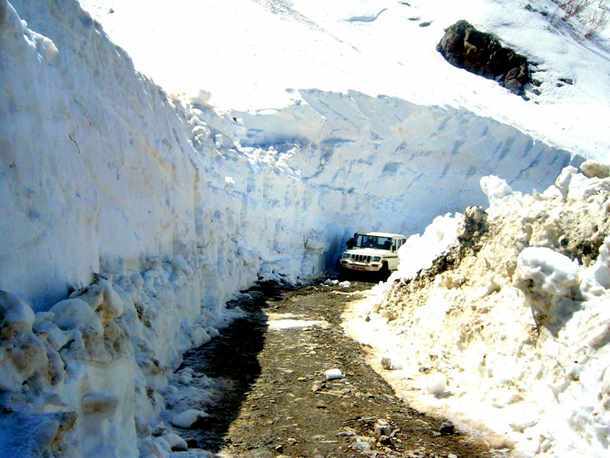 Located in the Pir Panjal range, Rohtang Pass is quite a popular tourist spot among Indians. Although it is regularly used during the tourist season, it is vulnerable to landslides and extreme climatic conditions. This is no ordinary road; it is a dirt-gravel road that passes through the beautiful valleys of Lahaul and Spiti. A 479-km insane stretch, the road is scenic yet challenging. Care has to be taken while driving as the road is prone to a lot of landslides. Due to Leh-Ladakh’s popularity, the road is often congested. 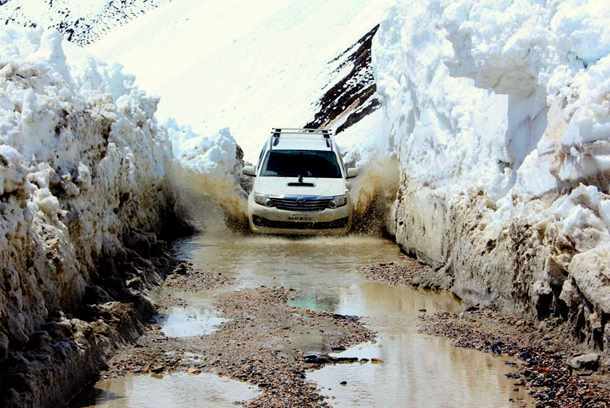 The road is only open in summer as it suffers severe blockage during winters. It's all about getting the best value out of your holidays. We have designed special holiday itineraries for the festive season. Explore our Best Value Holidays which are budget-friendly and have been specially curated to add an extra zing to your getaways.